I am talking about natural colors and vibrant tones. As I said so many times this season you are totally free to act and it concerns to both clothing and hairstyles. The only thing you should care of is whether chosen image suits you or not. 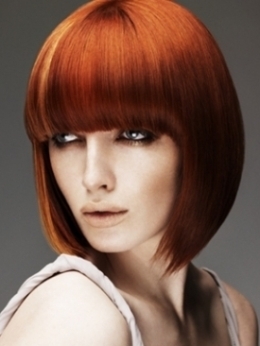 When it comes to hair color you should take into consideration one more factor. Hair shade should be perfectly suitable for your skin tone otherwise your face may look pale and dull. In order to stay away from such hair disasters you can consult with pro colorist or at least use virtual hairdresser and try on several colors. What about trendy colors for 2015 fall. Let’s begin with natural tones. Colors like blonde, natural red, light brown and brunette will never go out of the fashion and you can surely wear one of them without any doubt. New season trends also offer to go multi tonal hair coloring which is surely more popular and stylish than one tone hair color.